City sparrows are less laid-back than their country kin. 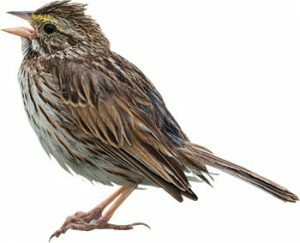 A Virginia Tech study published this spring in the journal Biology Letters found that song sparrows (Melospiza melodia) living in urban areas — specifically, the campuses of Virginia Tech and Radford University — acted more territorial than those in rural locales (a farm and a park). Scott Davies, a postdoctoral associate in biological sciences in the College of Science, measured territorial aggression in male song sparrows at three rural and three urban sites in the New River Valley during the spring of 2015. The study theorized that because of suburban sprawl, the limited harborage and food resources caused the urban birds to protect what was theirs more fiercely than their counterparts enjoying open spaces and bountiful food.